For many people, February is simply a month to survive before spring arrives. I sometimes wonder if Pope Gregory considered this when the calendar was modified. 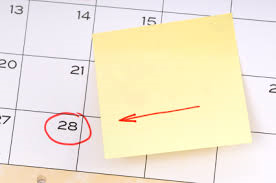 By shortening the month of February, March arrives earlier than any other month. And March means spring is just around the corner. After this winter, that really makes me smile. Posted on February 28, 2014, in Family, My life, perspective and tagged 365 reasons to smile, february, smiles, spring, Thoughts, weather, winter. Bookmark the permalink. 20 Comments.